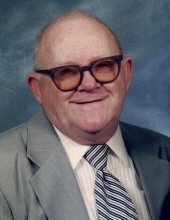 Harry Dean Nichols, age 84, of Mattoon passed away at 8:39 p.m. on April 14, 2019 at Sarah Bush Lincoln Health Center. Funeral Services honoring his life will begin at 10:00 a.m. on Friday, April 19, 2019 at the First Southern Baptist Church, 3521 Dewitt Avenue, Mattoon, Illinois 61938. Burial will follow at Beals Cemetery, Trilla. Visitation for family and friends will be held from 4:00 p.m. until 7:00 p.m. on Thursday, April 18, 2019 at Schilling Funeral Home, 1301 Charleston Avenue, Mattoon, Illinois 61938. To send flowers or a remembrance gift to the family of Harry D. Nichols, please visit our Tribute Store. "Email Address" would like to share the life celebration of Harry D. Nichols. Click on the "link" to go to share a favorite memory or leave a condolence message for the family.